A Series of grammar worksheets. 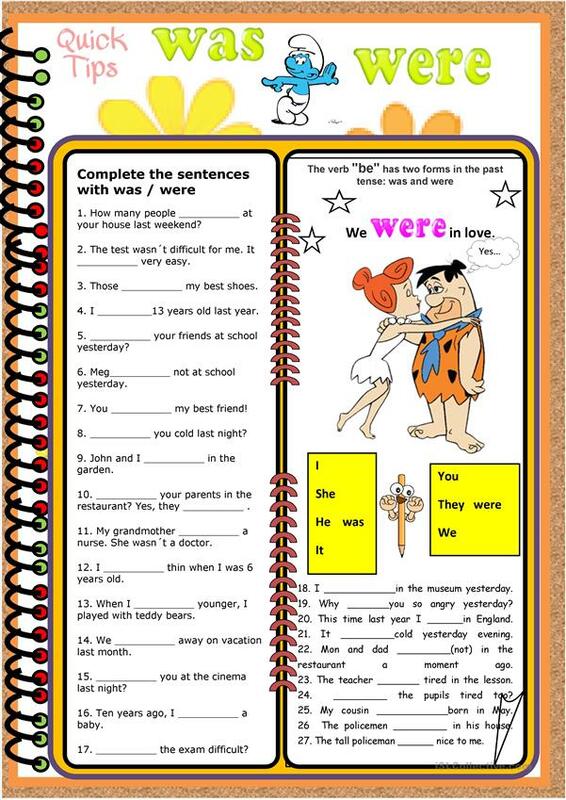 This worksheet is about the past simple tense using: was or were in sentences. Pupils have to fill in the verbs. Hope you like it. The present downloadable worksheet is meant for elementary school students at Beginner (pre-A1) and Elementary (A1) level. It is a useful material for consolidating Past simple tense in English, and is useful for strengthening your students' Spelling and Writing skills. It centers around the theme of Describing people.